When we started our Getting started with Sitecore JSS & Vue.js a couple of days ago, we already started making use of the Sitecore JSS CLI. In this short blog-post we’ll explore the Sitecore JSS CLI a little more, before eventually building components with Sitecore JSS. The Sitecore JSS CLI (Command Line Interface) provides us handy scripts to get things done while doing Sitecore JSS development with Vue.js. jss clean – Cleans the contents of a directory, by default the buildArtifactsPath. Which probably points to the /dist folder. jss deploy – Deploys the JSS app artifacts to a Sitecore instance. Use `jss deploy –help` for subcommands. jss manifest – Generates a JSS manifest file which defines app assets to import into Sitecore. Nothing is deployed or added to a deployment package; this just collects assets. See `jss package`, which takes the manifest and turns it into a deployable package. `jss manifest –help` for options. jss package – Generates a JSS manifest package file that can be deployed to Sitecore. Nothing is deployed. See also jss deploy package, which takes the package and deploys it to Sitecore. `jss package –help` for options. jss setup – Sets up the scjssconfig.json config file, which defines how this application connects to a Sitecore instance for content or deployment. Deploys the JSS app artifacts to a Sitecore instance. Use `jss deploy –help` for subcommands. jss deploy config – Deploys the app’s Sitecore configuration file(s) to the Sitecore server. `jss deploy config –help` for options. jss deploy app – Deploys files and items for the app to Sitecore. `jss deploy app –help` for options. jss deploy files – Deploys the app’s build artifact files to the Sitecore server using a direct file copy (no Sitecore items will be deployed). `jss deploy files –help` for options. jss deploy items – Deploys the app’s Sitecore items to Sitecore. No files are deployed. `jss deploy items –help` for options. jss deploy component <name> – Deploys a new component (or updates an existing component) to the Sitecore server when using Sitecore-first development. `jss deploy component –help` for options. jss deploy template <name> – Deploys a new template (or updates an existing template) to the Sitecore server when using Sitecore-first development. `jss deploy template –help` for options. This was just one of the many commands that actually have subcommands. 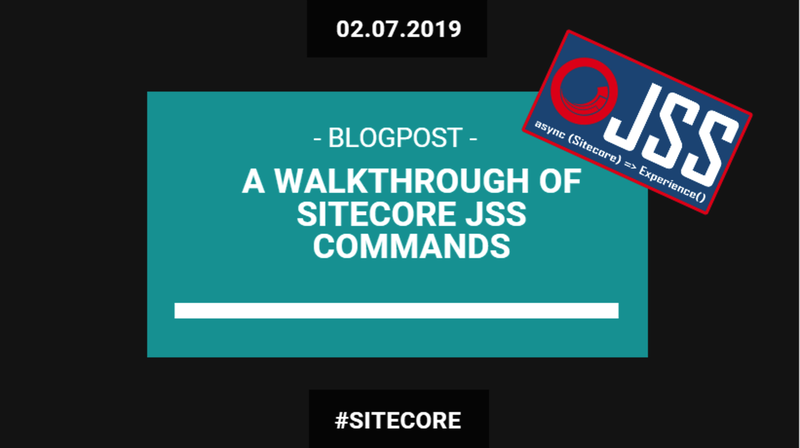 My tip is then also, to make yourself familiar with the enormous amount of Sitecore JSS commands that are at your disposal. Till next time… Sitecore JSS in Powerfull Ways…..